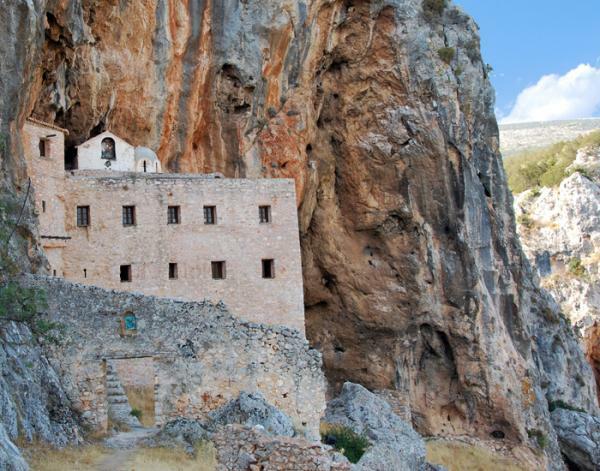 Not far from the road that connects Ligourio and Kranidi, one can find the beautiful monastery built on the rocky slope of a mountain. Heading towards Trachia, you pass through the village of Pelei and you reach the end of the paved road. 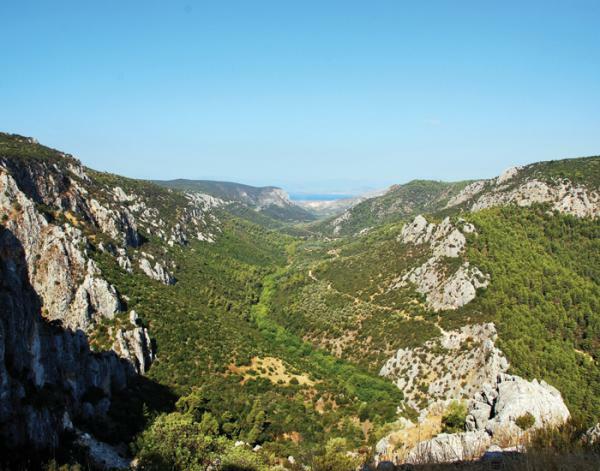 You continue on the dirt road leading to the monastery of ‘Moni tou Agiou Dimitriou Mirovliti’, Known as Moni Avgou. This renowned monastery is one of the many Byzantine treasures of the area. The monastery took an active part in the war of 1821 and was burned by Ibrahim in 1825. It is a small abandoned monastery, with a hermitage and a chapel, which was recently renovated. 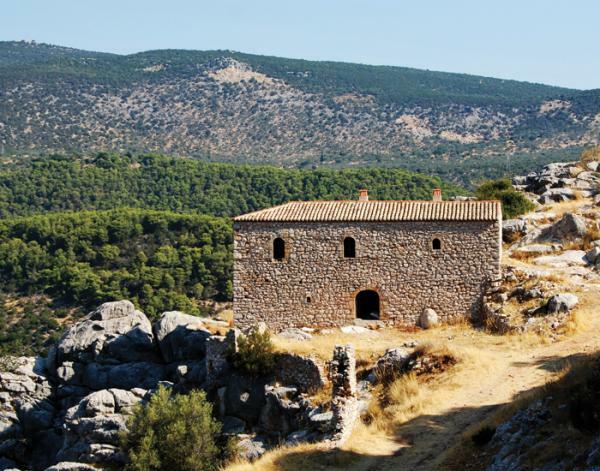 In a small cave in the eastern part of the rock, one can see the preserved Christian murals that, according to Sotirios Georgios, date back to the 11th century. This remarkable monastery is built into the steep rock where, when looking down, you can see the ravine leading to Iria and in good visibility you even have a view of the sea. There is still much speculation about the origin of the common name ‘Moni Avgou’, translated as ‘Abbey of the egg’. The most popular, yet romantic explanation lies in the tradition which tells the tale of the deeply felt faith for the unbreakable egg. Credible, however, is that the name is quite simply the result of the mountain, where the monastery is built into the rocks of the cliff. It is called Avgo mountain (Greek: το όρος Αυγό – Egg Mountain), and, in many local dialects, the word “avgo” means just “peak”.